Not even "Aztec Gino" could rally the Red Sox in the seventh inning at Fenway Park on Friday night, when Yankee fans were sent dancing in the streets of Kenmore Square after New York's 20-11 romp. 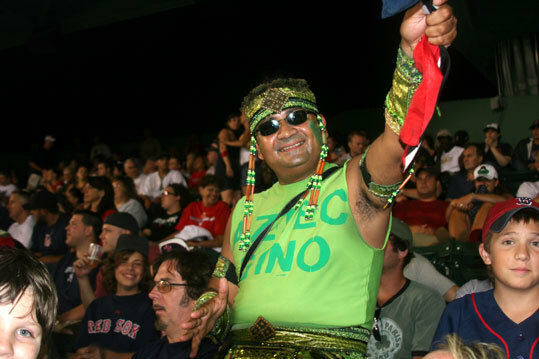 "Aztec Gino" said he came to Boston via Trinidad and Tobago and he's usually "for the Celtics." AG's moves didn't exactly match the immortal Gino, who dances on the Jumbotron at the Garden during Celtics victories.